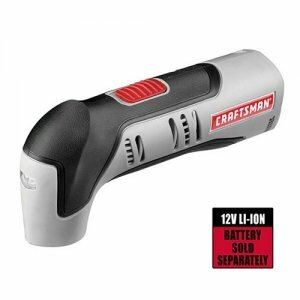 We don't see deals like this very often, but Sears has their Craftsman Nextec line 12-volt Multi-Tool (tool only) for sale for less than ten bucks. This is just the bare tool and doesn't come with any accessories, but what would you expect for only pocket change. The regular price for this tool is $59.99, and kit sells for just under $80. This deal is probably only worthwhile to people that already own Craftsman Nextec 12-volt tools, as a separate purchase of a battery and a charger will cost you nearly $50. You would be better off buying a Nextec drill to get your battery and charger at around $70. I don't know how long this deal will last, so if you are interested you better buy now online and pick it up at your local Sears.